​The Society holds four dinner meetings each year on the third Fridays of March, May, September, and November where a program of historical interest is included. Programs are held at 6:15 PM at the Suncrest (Drummond) United Methodist Church on Van Voorhis Road in Morgantown; ample parking is available. ​The public and guests are welcome; bring a friend or colleague. Those wishing to join the Society may do so at or after the meeting. The cost of the dinner is $10.00. Persons wishing to only attend the free program, that follows the dinner, are welcome to arrive about 7 PM. Dinner reservations are required, and may be made by calling Janet DeVault at 304-599-5261. Please do not call after 9 PM. Reservations should be made no later than the Tuesday before the meeting. Payment for dinners can be made at the meeting. The Society must guarantee paying for reservations made, so attendance of those making reservations is greatly appreciated. 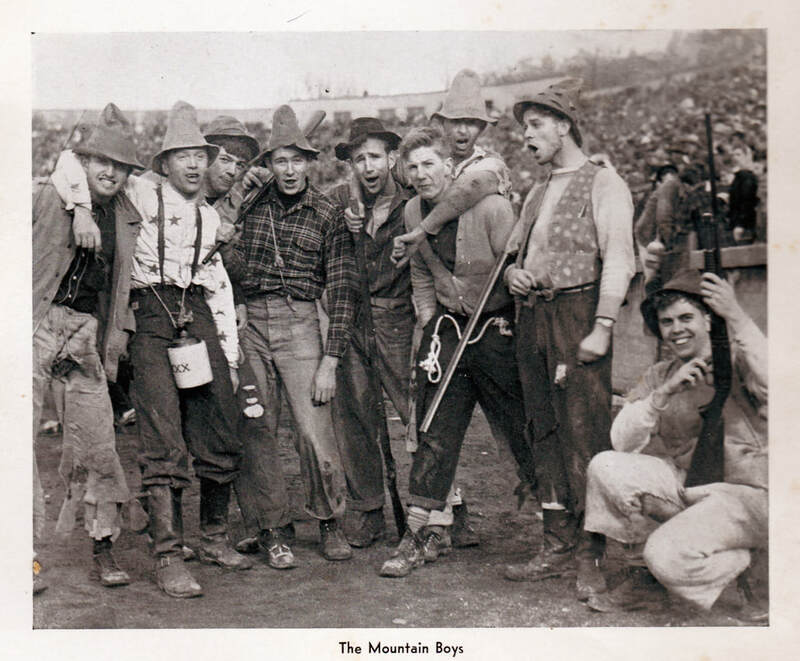 The present-day figure of the Mountaineer has roots in two very different American icons: the hillbilly and the frontiersman. Both have extensive cultural histories that extend back long before the founding of West Virginia, and in some cases long before the founding of the United States. These traditions were merged in the figure of the Mountaineer in the early 19th century. These two figures share some qualities—fierce independence, plain-spokenness—but they also differ in significant ways. The frontiersman represents the “natural gentleman” of the backwoods, who—while not worldly or elitely educated—is nevertheless intelligent, articulate, and forthright. With the frontiersman, what you see is what you get; he is the proverbial “salt of the earth” guy, with a hefty dose of rugged individualism and bravery. The hillbilly, on the other hand, is a barely civilized rabble-rouser. His pleasures are of the flesh: carousing, drinking, and fighting. If he is even aware of the status quo, the hillbilly fails to understand why it matters, and may actively defy it. He knows that outsiders might see him as a fool, and sometimes he plays the fool deliberately in order to trick outsiders and put them in their place. Rosemary Hathaway is an associate professor of English at West Virginia University, where she teaches courses in folklore, American literature, and young-adult literature. She received her PhD in English from the Ohio State University and taught at the University of Northern Colorado before coming to WVU in 2007. She was no stranger to West Virginia, however, since both of her parents were West Virginia natives--her father grew up in Calhoun County, and her mother in Mercer County.